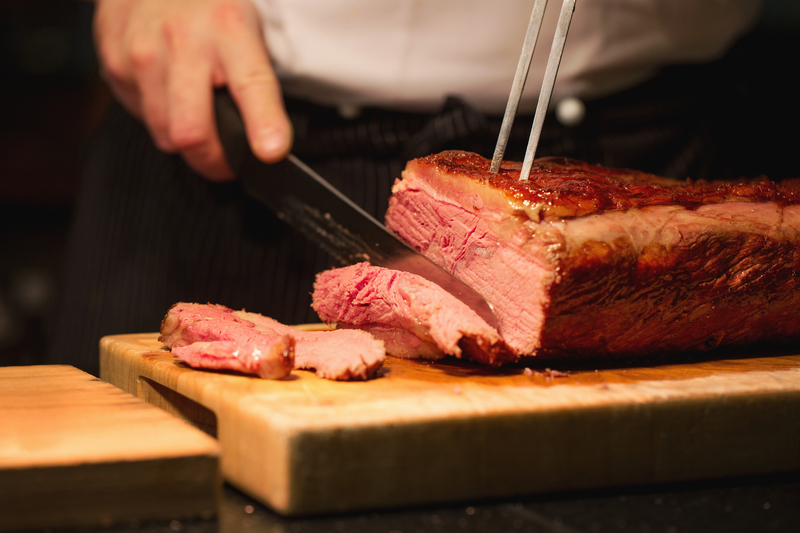 Sheraton Edinburgh’s much-loved Six Nations buffet lunch is back! Available Saturday 2nd February, Saturday 9th February & Saturday 9th March 2019 from 12:30 – 2:30pm. Our much-loved Six Nations buffet lunch is back! With an exciting Rugby twist to celebrate the tournament. Enjoy the extensive selection with your choice of a glass of wine, bottle of beer or soft drink priced at £35 per person. Tuck into our seasonally changing buffet lunch menu which features hearty local favourites such as Heritage potato salad with Arran mustard and poached Loch Etive sea trout, while our mouthwatering roasts are served with fresh market vegetables, fluffy Yorkshire puddings and all the trimmings. For after’s, choose from a selection of Scottish Artisan cheeses, or a delectable array of fine cakes and indulgent mini puddings, freshly prepared by our expert pastry chefs. Of course, those with a sweet tooth might want to save some room for our ever-popular chocolate cascade and our two NEW editions, an ice cream cart with an array of flavours and DIY popcorn cart.